Have you been in a storm? Whether or not you used a drag device, please send us your experiences so that others can learn from them. The more reports we have, from as wide a range of vessels and conditions, the better we can draw consistent conclusions from them. Please provide us with as much information as you can. If you wish us to withhold any details (for example, your own name or that of your boat) please just let us know. Download the form as a Word document, fill it in, and upload it. Download the form as a PDF document, print it out, fill it in by hand, then take a photo or scan of it and upload it. Write the report in longhand or just use your log entries, take a photo or scan of it and upload it using the form below. Please also send us photos, videos, or even photos of your log entries! NOTE: The form does have some required fields, even if you are uploading your report, please do fill in those fields (shown in red below). Normally we will also try to contact you with clarifying questions so that we can extract the maximum benefit out of your experience. Thank you for your contribution to the DataBase! Every bit helps improve our understanding and knowledge of surviving the storms that nature throws at us. 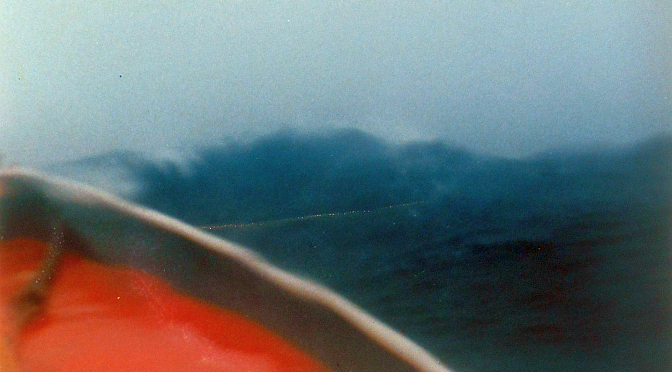 At what angle did these maverick waves intrude into the dominant seaway? Additional Comments - Please tell us as much as you can about your experience, including observations of what went right, what went wrong, lessons learned, suggestions etc. The more you can tell us, the more useful it will be for others.